1. Best 100% Brazilian Virgin Human Hair Pre Plucked 360 Lace Frontal Wigs. It's Soft and Tangle-Free Without Any Shedding So You Can Feel Comfortable and Proud Over Your New Lovely Hair. 2. 360 Lace Wig With Baby Hair and Natural Hairline,Natural Hairline to Get More Natural Looking as Our Own Hair and Slightly Bleached Knots.We Just Do The Best Wig For You. 3. 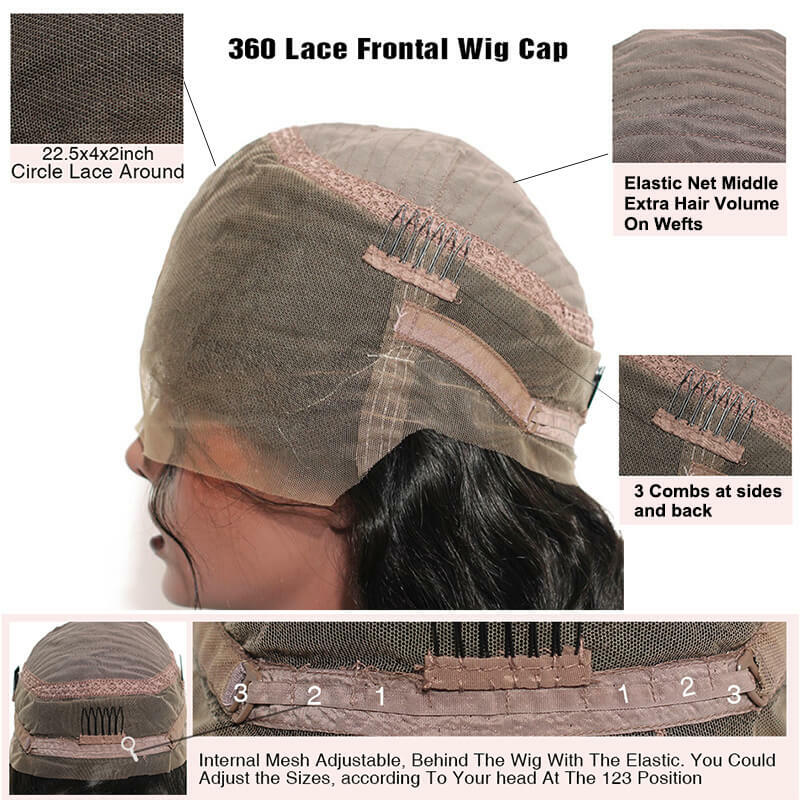 Glueless Wig Cap Available with Adjustable Strap & 4 Combs, Very Easy to Wear 360 Lace Frontal Wigs With Weft in the Centre. 4. Can Be Styled Freely.You Will Feel You Are Star When You Wear It.She Will Make You Feel Absolutely Amazing All The Time. 5. Backed By a Unbeatable 30 Days Money Back Guarantee. Your Order Today is 100% RISK-FREE.